HOW ARE YOU AN "AGENT FOR THE ARCTURIANS?" How am I an "agent for the Arcturians?" Obviously it is through my channeling, but it is much more than that. It is a state of readiness and a total commitment to listening to their call and DOING what they ask of me. Because I write and share what they tell me, they keep telling me more. The Arcturians and the other members of our Galactic Family have discovered that humans can follow other humans more than their own inner voice. Therefore, when our Galactic Family finds some one who can hear, see and/or feel them, they send us as much information, pictures, ideas and assignments as we are will to ground into third dimensional Gaia. This process may seem like a lot of "work," but the work feels like joy and feeling of constant connection to our Higher SELF is the best "payment" the I-we could ever receive. Thank you Arcturians and Pleiadians form coming into my life! (and i do mean INTO as it feels like they are IN me, as well as, ABOVE ME. HOW DOES THIS CONNECTION FEEL TO "YOU"? Is there a reason why I am to set the rate of Agarthans coming to the surface of the earth? YES. YOU CAN DO IT. forming the pristine channel for the Agarthans to arrive on Earth. TO ABSOLUTE SERVICE TO GOD. They were imprinting the pristine channel. LET IT BEGIN, said the Ambassador of the Agarthans. Q: THen let the departures begin and the arrivals be sound. YES." One of the rooms in my house has been selected by the Arcturans for this purpose. It is a portal, just one of the 10 on earth. Multiple occasions each day, it is used. Usually the portal is quiet, but occasionally we hear noises that are not 'usual'. 3) I intervene for ALL CREATION... not just Terra. Life continues to be very interesting. Thank You so much, dear Suzanne!!! We ARE Agents for the Arcturians. Let us count the ways...What a glorious reflection from each of us as we realize this beautiful mission in which we find ourselves. We connect, we inspire, we expand, we forgive, we support, we guide, we shine, we lead, and we unite. Moment to moment, we are conscious co-creators of our reality as we see everything from a higher perspective. We show each person how to be the change we wish to see, and we show the ways in which we can positively impact the world one thought and emotion at a time. We actively connect with nature, and we share this love with others as we celebrate our Oneness. We do what we love, and we model this lifestyle for others to embrace and step into in a gradual and graceful way. We place our Higher Selves in the driver's seat as we flow through the day in a connected and enlightened way. 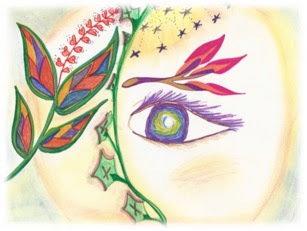 ~ Honored to be an Agent for the Arcturians! our leitmotiven are unconditional love and sharing and being..
we know that we all are essentially consciousness and we meet thru' states of consciousness..
i also costantly dive in that gift called "the UNKNOWN.."
om i have tried to delete this unedited comment but it seems now impossible .please forgive..can you delete it thanks ? I feel this connection through my dreams. I wake up every day feeling joy because of the conversations with them in my dreams ....but i usually don`t remember them........only I can feel the joy. There is something that I also feel after I come back to third dimension......sorrow sorrow ..sorrow terrible sorrow. But, anyway.....I know I am an agent for them. My life is simple. I work as a cook. On my way to work I blaze the Violet Flame clearing all negativity from the kitchen, restaurant, resort and the back canyon where I spend my day. I then blaze it around the world. During the day I bless the food I make and my coworkers silently. I hold space. I am a channel of light. I am calm and hold peace. After work when I'm outside I look for the ships. I feel them and know they are there. On my day off I meet up with my best friend. We find joy in buying sandwiches for a picnic and then we wander around in a National Park. We have buckets and pickers and we spend the day picking up litter. We don't judge the people who litter. We know they can't even see us except for the few who thank us. We sit under a tree have our picnic discuss the idea of living in 5D. When we finish our meal we pick up our buckets and start wandering in opposite directions, picking up litter, being One with earth and sky. Just being. Marvelous. If more people could do as you do...........the changes would come about smoother. Thank you for sharing. I have felt a connection to the Pleiadians since a teenager, ever more so now. I talk to my plants on my balcony and the moonflowers and morning glories are growing like crazy. I pick up trash in my complex when walking and my granddaughter and I make fairy dwellings at the base of the Ponderosa Pines in front of my flat. We also have two fairy herb gardens. My cats follow us around, and other cars and neighboring dogs come up to us happily. I meditate a lot, get messages for new earth and write about new earth on my blog (have not mentioned the Pleiadians there yet, but have mentioned the Violet Flame i blaze and also crystals, and many visualizations I am currently using for self healing). only for a little bit. Om namaha shivaya. I am a healer, so that's my way of being an "agent for the Actuarais". I can feel the energy in my hands and more and more I can sense when a thoughtform is entering mi energy field, so when someone ask for my advise I'm like a catalyst for that information get to where it needs to go. I also try to share more and more information about this process of ascension and how to reconnect with our higher self in a manner that it's not to complicated, and through my own experience. At the same time I'm always reading, studying, and meditating about this process, to raise my own frequency. This is so wonderful! I am receiving much contact from the Pleiadian/Sirian frequency at this time. The channnel...vessel (meaning myself) is still not completely cleared of 3D debris, but am working on this every moment. the message absolutely went to my heart! Thank you Susan! I am a dreamer working in the creative industry in Europe. In my busy day to day life I'm learning to perceive the variations of my perceptions in my different states of consciousness. I observe myself a lot on this matter. The most interesting moment is the moment when I become aware that I'm am resonating to a low frequency and the fact that at that moment I have a choice to change this state of consciousness to a higher frequency. I go from being completely occupied, stressed, worried or fearful to totally calm and blissful. It's actually kind of funny because you can compare it with a child who can be crying one moment and ten seconds later be laughing. In order to make that choice in to a higher frequency can be very difficult sometimes because usually the ego is standing in the way. Like when you are angry it is very difficult to switch your emotions into feeling happy. It feels unnatural. Going from fear to bliss can seem impossible sometimes, but I'm glad that there are things I can focus on that really help me out with this. For instance the knowledge of my higher self, or the fact that I am not alone, or the fact that when I think of my Arcturian friends they are all looking back at me with their full attention. Awesome dudes, I say. We can do this. Thank you for the inspiration and examples of raising your frequency. Thank You for sharing! This is true for me too. Sometimes it is a challenge to not to get upset or angry when somebody tries to force me to do something I don't feel good about. And I see my different inner parts trying to offer different things...I am happy to fell I am not alone. too! Yes, this most recent message also goes straight to my heart as oridoll expressed. I am currently experiencing the tiredness that is mentioned and am grateful for the helpful explanation as I make efforts to eat healthy etc. This is the first time I have participated in the blog here. I feel a lovely melting of unity consciousness and so I will follow more closely. I would choose to be an Agent with more responsiblity than what I currently am able to recognize that I do. The relaying of Maddy O,the cook, and the daily choices of action and service were incredibly inspirational. I would choose to follow suit and upgrade my service to others in a similar way at the thrift store I work at. It had not occurred to me to serve in that way but surely it would help others as well as lift my frequency out of the dips into lower frequency I experience when falling into disappointment with other's choices. Suzanne, thank you for the privilege of sharing our voice here. I feel sure I am to be a part of this work, my experiences with our space brothers and sisters have been few, but powerful and absolutely confirming. I have been on this path intellectually for many years. But my 3D way of being has not been conducive to the path and seems to require some major clearing of emotional patterns and beliefs. Currently I Find myself in the process of being very much like a caterpillar in my cocoon, everything is soft and mushy, all my old negative ways of being are becoming so clear, to be released. my desire is mostly to be alone and to do nothing of any consequence. This is alarming to parts of me, other voices within whisper that it is the process of change I seek and to be patient and accepting. So I do my best to accept, mixed with fits of doing because that is how I knew myself. I am assuming that by going with this state, I will come through it changed, but the desire to do some action or receive some guidance, or to follow a practice that would help keeps returning, but so far the more I attempt to "do" or tell myself I "should" do, the less I want to. I will be glad when I get through this and can freely join you from the perspective of a transformed butterfly. Thank you so much for holding the space for both those of us striving to join you and those who are more solidly on board. Agree. wonderfully said and can relate well with your experience. thank you for your honesty and clarity. I feel less isolated as there are common hearts here within this blog. People are sharing their hearts. This is so good. On 2nd and 3rd thought, perhaps this mushy flailing uncomfortable experience is one of many to come as I, (and others like me) transition. So from caterpillar to 5D butterfly may require more and many transformations. Wishing it to be one big and final Clark Kent to Superwoman (why not) transformation does not make it so. Oh well, I'll gratefully take what comes. will need it. All will be accepted and loved. At least that is what my heart tells me. Of course it starts within, so back to my mushy cocoon I go, searching out the unloved and unloving bits to be loved into harmony. All the best on your journey Rosemary. Thank you..............you as well. Much comradery felt here within the blog and its members. Yes, this is Fantastic information that resonates and covers a lot that many do not, Thankyou! Greetings to all of you! It is so inspiring to read the posts. This is my story. In my childhood I remember seeing the light of the air, and the entire world was alive, magical. I could talk with stars calling Them Sisters, asking them when I needed help. My grandma was a psychic, her mom was a healer, so it was nothing unusual for me. I was born in Soviet Union where one could not talk about spiritual things away from home. And yet my wonderful Slavonic Land had so many healers, psychics, deeply cordial and spiritual people. I remember we had a famous magazine with the critique articles of religion, named "Science and Religion" as if they are opposites, and there I was reading ancient texts of Egypt, stories about "not existing" cultures like Lemuria, or stories about UFOs. I am grateful to the authors of this magazine - they found a way to introduce spiritual knowledge to so many people a very smart way – as if they wanted to critique the knowledge. It was the safest way to talk about spiritual dimensions. I knew, and felt, it was all real, I could feel the ancient gods as heroes and mysterious older friends and teachers. It was about my world. Later I just lived my life, writing poems, expressing my feelings in art, but not talking a lot about it. I felt I would not be understood. I was called a person who is “flying in the sky” and not living real life anyway. I studied psychology - but it didn't give me the answers to my deepest questions. Later I could see in meditation my different selves from my past lives. In meditation life had no "time". I could introduce me of different lives to each other, heal their stories. It helped me to trust my meditative self, Higher self, intuition. I met several wonderful teachers who helped me along the way. And it was a true gift and a blessing to meet Suzanne and read Arcturian messages. It gave me such new power, it united everything I felt before, I felt new trust to my Higher self. Now I try to shine the Higher light in my everyday life, to the people I meet, places I go to. I feel such a strong unity with Gaia and never feel lonely. I am so grateful to Suzanne and Arcturian Friends, for Their love, help and support, for this opportinity to meet with kindred souls. I am grateful to all of YOU for our talk and connection. Many blessings! Thanks , I recived the answer that I was waiting , my love for you. We are the Arcturians . !!! Awesome as usual. I am amazed at how sure everyone is. I have and continue to have many experiences that seem to be of a higher frequency. Many beings terrestrial and celestial live in these realms. My experience is certainly fantastic compared to the frequency we collectively share. The frequency we inhabit that is tied to the blood of this earthly body. The common denominator lets say. Hence the need to "ground" these "celestial" experiences into the spine and the so called heart of Gaia. We may well be on a journey together. However this is a journey into phenomena and form. Who we are is open awareness that observes all of this. Perhaps "raising" ones frequency and vibration will result in a bliss filled expansion. No experience, no matter how beautiful, will add anything to who we already are. I am that I am is not mere rhetoric. ALL searching for missions, self and above all the search for fixing the planet and others is a movement away from I am right here and now. That being said, we are so hung up in doing; I suppose searching is a device that will work for awhile within time. I have seen many "ships" and can feel my Arcturian friends around me. This is comforting I suppose. Feeling that presence inspires a expansive rush I suppose. However it is I who will decide the frequency of the vibration I seem to inhabit here in time. Asking questions, receiving answers and then feeling smug because we feel the pull of evolution is as much in our way as believing the "dark ones" are out side of us. I feel we have two powers. Attention and belief. Super powers. The creator, she respects choices. Brownie points are not available to anyone. We are life itself. Enjoy yourself. The "contract" of blood only last so long. Why would a human being want to be in a space ship. You are already on one. There is no wasted "time". Being here is more than good and enough. Quit trying so hard.